The recent collapse of world coffee prices was a disaster, for more than 25 million poor families. The crisis is now so deep that it is contributing to widespread hunger. 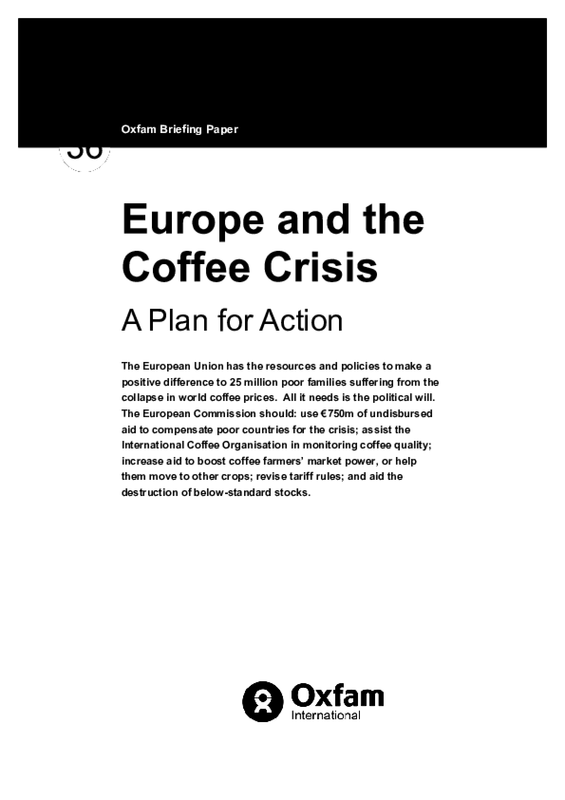 The International Coffee Organisation (ICO) is addressing the crisis with plans for a Quality Improvement Programme and proposals to help hard-hit coffee farmers to find other sources of livelihood.